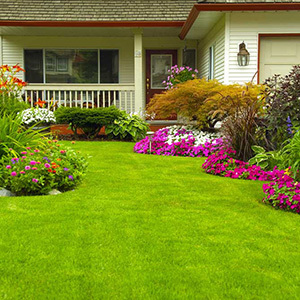 When you’re in need of a trustworthy and comprehensive full service grading, sodding and seeding landscaping company in Davenport, AJ’s Enterprises, Inc. is your number one source. We specialize in caring for your lawn, garden and yard, and we’ve been proudly serving the Davenport, IA area for more than 25 years. Since 1986, AJ’s Enterprises, Inc. has been serving the need for large area mowing in Davenport, IA and the surrounding areas. Not only do we offer some of the highest quality seeding services in town, but we can also provide grading, sodding, mowing, brush hog mowing, empty lot mowing, light excavating, skid loader work, tractor work, landscaping and much more. We’ve got all the knowledge and skill needed to keep your lawn and garden healthy and beautiful—whatever your landscaping needs may be. When it comes to seeding, sodding and finish grading in Davenport, IA, no one does it better than our team of experts! We’ve been in the landscaping business for more than 25 years. We offer a huge list of landscaping services including sodding, seeding and finish grading in Davenport, IA among others. We offer our services to customers within 50 miles of Davenport. We use light equipment to get the job done quickly and efficiently.